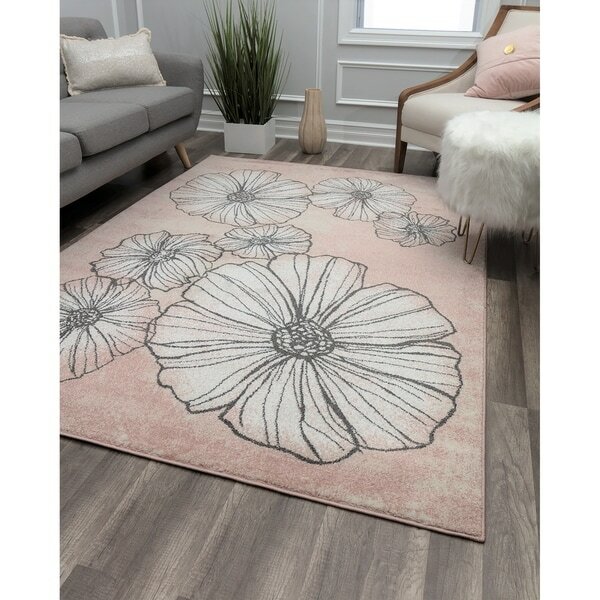 Everyone loves flowers, and with this charming area rug, you can take joy in beautiful blossoms every day. Made from polypropylene and power-loomed, it is constructed with a shiny, medium-length pile that boasts both durability and a soft touch. Sweet on your feet, tough enough to withstand a busy household, and wonderfully enchanting, this piece has everything you're looking for in a great rug.